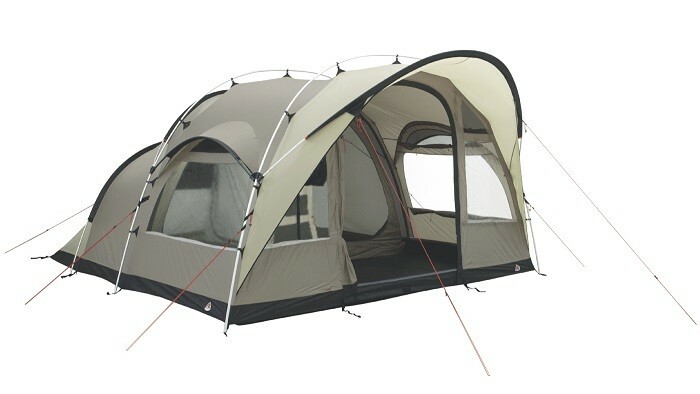 The Robens Cabin 600 features an innovative and distinctive alloy frame design which is easy as child's play to put up but provides exception stability allowing for 3-season family camping. The flysheet clips to the two main frame archways and then using a DAC pole hub the front arch is attached providing the front canopy to the tent - excellent for weather protection and shade for the entrance area. 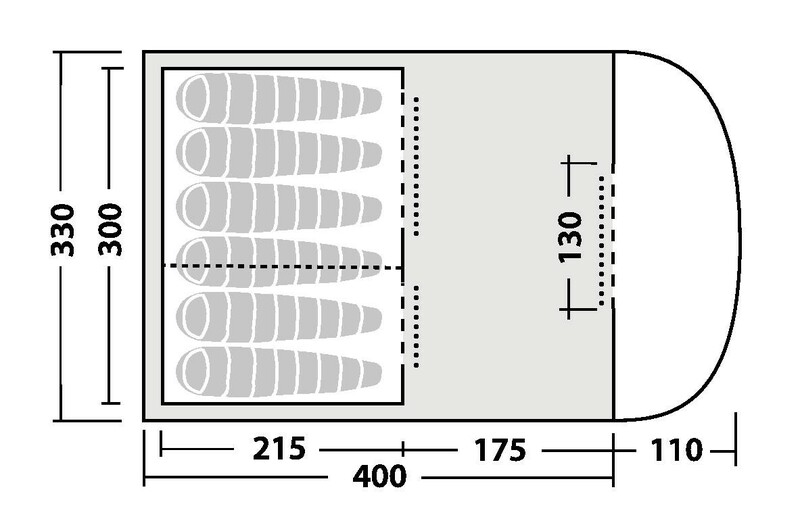 The rear pole is then added to establish the sleeping accommodation. 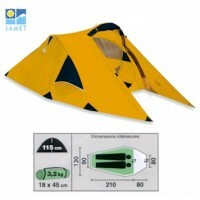 The side arches over the windows help stabilize the whole structure and make the tent practically free-standing. 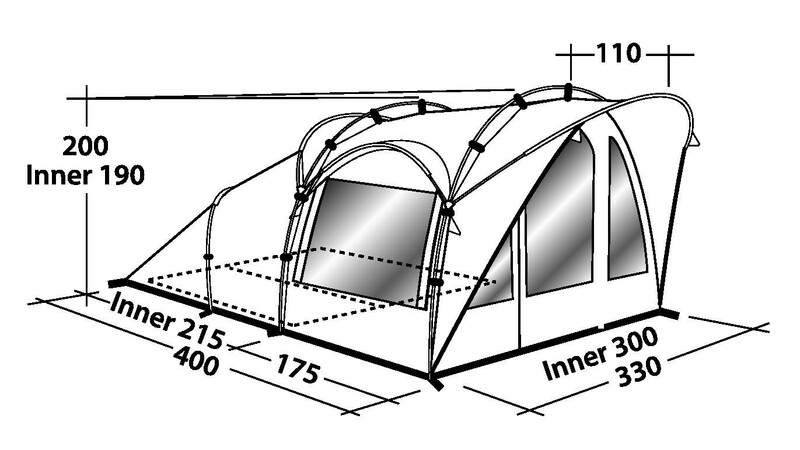 The Robens Cabin 600 features a 6-person zipped-in 'black-out' universal inner tent with a diving curtain to create a 3+2 sleeping arrangement and with the ability to remove one half of the inner tent altogether. 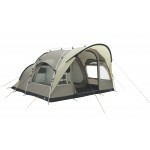 The living area offers full head height and a sewn-in groundsheet throughout for warmth and comfort. 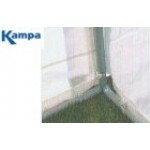 There are four windows - two of which have mesh panels to aid air flow. 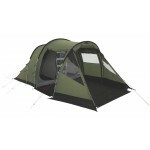 The front entrance door also features a secondary mesh door which will keep bugs at bay. 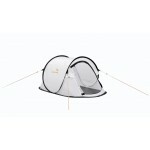 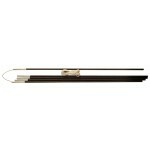 The weight of the tent is reduced through use of technical, lightweight materials including the latest DAC alloy poles.